The programs focus on hands-on, project-based learning from industry-leading professionals with small classes and a 10:1 ratio of students to instructors. By the end of the web development programs, students have a great website and portfolio, and the knowledge, tools, and skills needed to succeed as developers. For the job seekers, HackerYou also helps with crafting a technical resume, nailing an interview, and negotiating their salary. HackerYou is ideal for people looking to climb the corporate ladder, upgrade their skills, or start a new career. Prospective applicants will need to fill out an online form describing their background and experience, and participate in an interview. In this course, students will explore advanced topics such as emotional design, empathy mapping, systematic design, human-centred design and user testing. Students will improve and apply their skills to effectively define problems, scope target audiences, iterate, conduct “discovery phases,” conduct design research, prototype, critique, handle errors, and future map, among others. Lessons will be discovered by participants through hands-on, project based exercises. For their capstone project, students will use design thinking to solve a problem of their choosing, giving each student the opportunity to build a portfolio piece relevant to their interests. Have an idea for an app? Use this project to finally give it the attention it deserves by taking the idea through every step of the UX Design process. You’ll create a unique portfolio piece that showcases your UX skills - and maybe even a product ready for development! Graduates of UX Design Fundamentals are eligible to take Advanced UX Design for only $500. Previous experience in UX Design, or our Introduction to UX course (or equivalent) required. Ideal for designers and developers looking to move into UX roles. Students must have basic HTML and CSS knowledge, or have completed Introduction to Web Development (or equivalent) to take this course. This unique course is designed to help bootcamp graduates prepare for the next stage in their career. You did it - through hard work and dedication, you became a professional developer sans computer science degree. But you know that there are things people learn in Computer Science programs that would be useful to you. If you could combine your practical web development skills with some of these foundational Computer Science concepts, all while applying what you’re learning to develop full-stack development skills, you’d be almost unstoppable. Enter HackerYou’s Full-Stack Masterclass. Using a format that’s entirely new to HackerYou based on what we know bootcamp graduates want and need, this 57-hour, nine-week part-time course is designed to fill in your gaps, push you to level up and ultimately narrow the gap between you and the Full-Stack Developer you admire most. Code 2175). Freelance web developers are welcome to apply. This course is ideal for Bootcamp graduates (whether you attended HackerYou’s bootcamp or another one) and self-taught developers. Forget about other UX courses you’ve heard about - this course goes far beyond just wire-framing. In this course, you’ll dive into topics such as cognitive design patterns in UI & UX, micro-interactions principles, personals and mental models, interaction design foundations, the art & science of interviewing users, and finally, visual language principles, and more. As always, lessons will be discovered by participants through a series of hands-on, project-based exercises, and through a final project where students will have the chance to use design thinking to solve a specific, real-world problem of their choosing. This will help bring all the concepts together with an original, portfolio-worthy display of their UX skills. This course is perfect for people working as designers or developers, as well as graduates of our part-time design or web development courses. Join us for HackerYou's most popular part-time course. You'll learn HTML5 and CSS3, build websites and collaborate with a group of people just like you – people who know that learning to code is going to help them take their careers to the next level. With an intense focus on hands-on, project-based learning, this course will give you the opportunity to learn directly from some of Toronto’s most talented developers and and discover how to create beautiful, functional websites from scratch. This course is designed for beginners. Ontario Secondary School Diploma or equivalent, or for Mature Students, you must have achieved a score of 18 on the Wonderlic Mature Test. I wanted to take a full-time bootcamp, but didn't have any prior coding/development experience. The staff at HackerYou was honest and helpful in pointing me in the best possible direction, which was to learn the basics in the part-time course. Having worked in eduction and written curriculum in a previous life, I have been impressed with the thoughtful and strategic development and implementation of the course of study. The instructors and mentors are incredibly sharp; the project work is challenging yet interesting; the environment is serious yet relaxed and fun; and the learning space is beautiful and conducive to study. But the highlight has been the community that lasts beyond the completion of a course. The part-time course gave me the skills to get into the full-time bootcamp (which is a registered Private Career College course), and I (as well as anyone who took P/T) got a significant scholarship off the F/T course fee. I took the web development immersive course upon recommendations of multiple people I knew. My goal for this course was to gain technical competency in front-end web development as a focus, with a background in interaction design. The bootcamp exceeded my expectations and offers not only a great technical curriculum to arm you with skillsets and toolkits for a successful entry into front-end development, but it challenges and prepares you culturally as well. Advancing my career in development, was posed multiple challenges, but with the help of the HackerYou community and so many extra-curricular activities such as partnering with alumni working in the industry, extra topic-based sessions with volunteer alumni, industry days and demo day, I gained the confidence and the mindset to be able to fully become a front-end developer within a matter of 8 weeks, breaking into a new industry that was completely foreign to me before. What stood out most was the dedication and the energy that the instructors brought to class. Everyday was engaging, and every question I had was met with utmost patience. I have HackerYou's team to thank for a career-changing experience and would highly recommend this course to those who are dedicated in advancing their career in front-end development. Thank you! 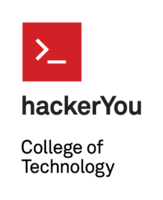 I stumbled upon HackerYou as a friend of mine was in the full-time Bootcamp for the Spring 2017 cohort. The way she described the HackerYou community, mentors and instructors, and the sheer amount of knowledge she gathered sparked my interest. As I am finishing up the part-time both fundamental and advance web-dev 2017 course, I have to say it was one of the best decisions I've taken in 2017. From the start of the application process, to the first day of the class to my last class, my mentors and my instructor were AMAZING. They are always full of energy, and their love of teaching and code oozes every single class. It makes learning super enjoyable, and easy to understand. Instructors and mentors understand each students needs and their way of learning. I've made some amazing friends with different backgrounds and experiences. I recommend HackerYou as a great learning institution, but also as a community that makes non technical, but technical people feel welcomed and challenged. I am embarking on a new challenge (UX fundamental and advance class in Feb 2018) and I am beyond excited to continue on this journey! If you're a complete beginner like I was, I would highly reccomend HackerYou. Anyone looking to begin their journey into web development should seriously consider HackerYou. I did the Web Development Fundamentals and Advanced Web Development courses in 2017 and my experience with HackerYou were remarkable from the get-go. Not only were the instructors and mentors super helpful, but I got to be apart of a great community! I hope to start the bootcamp in April. I would recommend HackerYou to everyone. I am two days away from finishing the part-time Web Development (Fall 2017) course and cannot say enough fantastic things about HackerYou. The folks coordinating admissions we always quick to reply to any questions I had prior to the course and were available throughout the course to land a hand. The space is clean and organized and very bright; a perfect work environment regardless of the time of day. As for the course itself, I was going in as a complete beginner. I can honestly say that this course taught me so much and has prepared me for the Bootcamp and beyond. I'll be leaving this course with enough knowledge to feel very confident in my skills in html5, css3 and jQuery fundamentals. The instructors and mentors were unbelievably helpful and knowledgeable. Despite the amount of information I learned, they were patient and made sure we were all confident before moving on. I can (and happily have) recommended this course to others. When I started researching courses earlier this year I was actually skeptical of all the glowing five-star reviews online, but now I'm one of those people saying that this place is really something special - I really can't praise HackerYou highly enough! The staff and instructors go above and beyond to create a cooperative environment in which everyone can safely be pushed to the furthest reach of their ability, and it's incredible to see how fast your class progresses regardless of experience level at the outset. I recently completed the full-time Web Development Immersive, but the support doesn't end on the last day of Bootcamp. There is an active and knowledgeable Alumni community to participate in, and Heather provides a structured system of guidance through the job-hunting process making the transitory period feel more like an extended learning opportunity. Access to these resources alone would be worth the cost, and with that structure behind me I've never felt more confident in the ability to continue self-directing my own growth. I just finished the part time Intro/Advanced course on Saturdays. I liked the combination of lectures, online notes and practice exercises. At the end of the course I feel confident that I have the knowledge to create a basic website. I always have help from the TAs when I need it, even outside of class time, on Slack. It's great! I have the knowledge to understand more advanced techniques online. My instructor, Jordan, is super awesome! She is the most optimistic person ever and she makes the classes super fun. I attended the HackerYou Part Time Web Development class on Saturdays in Toronto which occured from 10am-4pm. I do not have any prior experience with HTML or CSS programming, but was very comfortable learning the material given the quality of instruction, friendly environment to ask questions and interactive exercises. For those that are interested in taking an introductory course, I believe HackerYou does an excellent job. Our instructors were Jordan, Jenny and Meaghan who were all amazing throughout the entire class. They are patient and easy going individuals willing to help you out at every step. I can't compare my experience to other courses, but I would definitely recommend this program to anyone. Going to HackerYou for both the part-time course and the full-time bootcamp was one of the best decisions I've ever made. HackerYou is filled with great people and a helping hand is always around the corner. Not only will you acquire the skills needed to start a career in web development, you will also gain access to a network of hundreds of other developers to collaborate and share experiences with. I would recommend HackerYou to anyone, whether starting a new career or looking to sharpen up your skills. Highly Recommended, no other school would top this. Absolutely, the best place for Web Development. I really enjoyed the course, and all the instructors are supportive and always there to help. Main thing I loved was that you had 12 weeks and 6 hours each week. It is important that you do a lot. Amazing instructors and community with constantly updated content. Pretty much changed my life. Would suggest for a range of skills and interest. From the beginner to advanced, from looking to build sites for fun to those looking to completely change their career and become a developer. With very little experience, HackerYou's front end web development bootcamp helped catapult me into a new field and a new job. The instructors really cared and spent a lot of time with us, mentoring us and helping us to grasp difficult concepts. Heather personally spent a lot of time ensuring that we students found jobs that were suitable, well paying, and the perfect balance of challenging and rewarding. Definitely a bootcamp to consider if thinking of getting into the web dev field. Attended in 2016, now employed as a developer! In the beginning of 2016 I attended both part time courses; Intro to Web Development & Advanced Web development, leading right into the 9-week Web Development Bootcamp. Prior to attending HackerYou, my only foundation on any sort of coding was from a couple months spent on codeacademy.com and codeschool.com. I was coming from a totally unrelated work environment, but decided to take the lunge on this exciting opportunity to be employed after such a short program. I became employed within 1 month of finishing the 9-week bootcamp and have been employed as a developer ever since. HackerYou has a great networking environment, many grads are working all over this city and a ton of great employers have become familiar with the the program. I highly recommend attending HackerYou if you are looking for a career change, or for a career with many opportunities. This program can not only provide the right knowledge to jumpstart a career in coding, but also a supporting community and a never ending amount of opportunities in the tech industry. I took the part-time course in April 2017 and attended the summer Bootcamp after finishing the part-time course. Both of them are great and memorable experiences. Instructors are more than great. Kristen, Simon and Sylvia, they are very helpful, patient, funny, friendly and inspiring. The course curriculum is also designed thoughtfully and reasonable. Especially the CEO of HackerYou, Heather, the job hunting skills and experiences she taught us is life-long valuable. What's more, as an international student with imperfect English writing skills, she also helped me fix all the language problems of my cover letter, resume and other job hunting materials. I appreciate her help and encouragement from the bottom of my heart, and I also want to say Kristen is my favorite teacher in Canada! The best place to learn to code! I have successfully completed both the part-time Intro to HTML/CSS and full-time Bootcamp program in HackerYou. You're reading this review because you might be on the verge of taking a part-time program (maybe even the full-time program). Well, here's the short of it: JUST DO IT. If you were looking for something more, well.. I decided to make a career change from the fitness industry to something else. With a bit of research and "googling", I came to find out about HackerYou. Before fully committing to the Bootcamp program, I decided to take the Intro program first to see if coding was for me. With HackerYou's amazing space and style of teaching, I immediately wanted in into the full-time program. One thing I loved about HackerYou was the community and the amount of collaboration there was among the students (and even the instructors!). HackerYou has created an environment that allows you to reach your maximum potential when it comes to learning. Everyone just wants to help you out - and you eventually want to start helping everyone out. It's a "we're all in this together" vibe. Heather, the CEO, has been able to acquire the most helpful, caring, and dedicated instructors I've ever met. These group of people just want everything to do with your successes! They are extremely patient and always try to enhance your problem solving skills rather than just giving you the answers. For the 3 months that I've been there full-time, it just felt like home. HackerYou is super cosy and has all the furniture to get you coding with comfort. Since my cohort, HackerYou has expanded and they're only getting bigger! It is without a doubt that HackerYou has successfully helped me transition to a new career. Their hands-on approach and 10:1 students to instructor ratio has allowed me to learn enjoyably at ease. I would highly recommend going to HackerYou to anyone that's looking to advance in their career, learn something new, or even make a career change. They'll take care of you from day 1 of school to your day 1 in your new job! -- You are basically trained to fit into a corporate mold, something I struggled with during my time there and afterwards. Once I graduated, I took the corporate advice that was given to me and did what I wanted to do, but always kept that in the back of my head. It's actually helped me alot. and everyone at HackerYou I found has been extremely encouraging of me taking my own path. -- Literally all of the teachers, everyone in the staff are THE NICEST people you will ever meet, its almost a bit frightening at first, but you really start to like it. -- still TWO years later, with me probably being the oddest oddball out thats attended HackerYou, I reached out to Heather, the CEO of HackerYou to help me negotiate the contract that was offered to me at my new job last week, and she responded very quickly as always with just the right points to make and how to go about doing it the most efficient way. I have the utmost amount of respect for this woman. She is terrifiying in all the right ways and will give you the cut throat tough love that you need to save your professional career. Overall. I think if you enjoy coding, if you enjoy spending a lot of time doing really detailed work, this is ultimately the best program for that, and you will grow to really love and respect the community thats handed to you on a silver platter. I took the full-time bootcamp/course in 2015. The instructors and curriculum were amazing, the instructors were very knowledgable and easy to approach. The topics that were covered were always the most current. I was employed within a week upon graduation. if you're looking to advance in your career as a developer, I highly recommend this school. HackerYou is the reason why I have a fulfilling career today. From the day I quit my job in administration to my first day as a junior developer - happened all in 6 months! I started out with the Part-Time Web Dev course in winter 2016 and my instructor was Anne. An instructor can make or break your experience, and I found she projected her voice well and she had great flow and timing with the in-class exercises. Lessons are well-structured with the most current technologies, and sprinkled with appropriate GIFs and analogies to help you conceptualize your learning. Every class gets students engaged with code-alongs and mentors are always willing to help you get through anything that's blocking you. Examples of projects included: Single-page responsive website, "code a PSD" (review a design for a website, and bring it to life with code! ), and build a portfolio website. What I like most about HackerYou is that there are no tests or grades, just projects-based learning. You are given a challenge, just like you would in a real developer job, and you deliver. Instructors provide thorough feedback and suggestions to help you improve, and empower you to become resourceful later on when you don't have access to the formal mentoring/help. While the cost is steep, it's the cream of the crop when it comes to Front End Development education. The community and connections available at HackerYou are top-notch. I did not just gain skills for a new career; I got an attitude change by meeting so many awesome humans who also got a new lease on life. It sounds cheesy, but it's true. I built so much confidence from my time there. Truly, it is a place where you are encouraged to put in the work to be the best version of yourself. Overall, I've attended 3 courses with HackerYou, in about a year and a half. I started with the Intro to Web Development course, then took the bootcamp in Winter 2016, the Intro to Full Stack course in Fall 2016 and am now in the Full Stack Masterclass. HackerYou has exceeded my expectations with each course. Before HackerYou, I was a web content coordinator with a non-profit. I enjoyed working with the web and dabbling in code, but in my organization I had reached the height of my career path. I found HackerYou through Ladies Learning Code and was impressed with their inclusive attitude as well as their friendly staff. I very much wanted to be a part of the next bootcamp and kickstart my career shift, so I applied. When interviewing with Heather I realized I didn't know as much about coding as I thought I did - and she suggested I take the part time Intro to web dev class and then I would be prepared for bootcamp. Honestly, I was disappointed because my initial thought was that they wanted more money. But, I was very much wanting to switch careers, and I had heard very good things, so I went into the Intro class cautiously. The intro class ended up being the right decision. Within a few weeks, I was quickly learning about new concepts that made way more sense then the outdated web practices that my job used, and learned much more than I had learned on my own. It gave me a great base, and I went into the bootcamp more prepared than I would have been. I look back now and know that I would have struggled every step of the way in the bootcamp if HY didn't make that recommendation for my learning plan. The bootcamp was very challenging, but the environment was so supportive, the instructors were available for questions, and once they went home, the alumni helped us bootcampers constantly. The job hunt support after bootcamp was great, as job hunting can be demoralizing. Heather and the team were extremely helpful in job seeker meetings, pep talks and once the time came to accept an offer, in contract negotiation. In addition to the technical skills, I learned how to conduct an efficient job hunt, something I had never considered as a life skill before. I got a job as a front-end developer 8 weeks from my last day of the bootcamp, and I was one of the last of my classmates. I loved learning at HackerYou so much, that I continued my learning in their full stack intro course and full stack masterclass. The speed of my learning was incredible, but I haven't even mentioned the best part. HackerYou is also a community that teaches and mentors each other well past the end of bootcamp, they are amazing people and part of that is due to the screening that the HY team does before accepting students. I've made great friends in my two years in the community. Perfect place to learn Code! I took the Web development course (fundamentals and advanced). Teachers and mentors make it easy to learn with them and they are always happy to help. The projects you will work on during the class will definitely help you to assimilate all the information from the class. This is going to be a bit lengthy. But if you're researching which bootcamp to attend, this will 100% be worth the read. I've sectioned my review into different paragraphs for easier reading. There is an interview process before being accepted into the bootcamp, but that process has changed as of now. Hopefully you can get a general feel by reading this though. I applied online and was contacted very soon afterwards to set up a meeting with Heather Payne, CEO of HackerYou. When I met with Heather, she was incredibly nice and knew exactly the right questions to ask to ensure I would be successful in the bootcamp. This was not an 'interview' type of feel, but rather a way for Heather to really gauge what I was looking for and what my current skills were. It felt more like this meeting was simply to make sure that I would be a good fit for the pace, the curriculum, and the overall experience of being in a 9 week intensive bootcamp environment - and trust me, you need to know the answers to these if you want to be successful in the bootcamp! Heather was amazing at answering all of my questions. Make sure to come with prepared questions, as it's important to understand the ins and outs of the bootcamp while deciding what is right for you. Some questions you might have are in regards to support finding temporary accommodations while being at HackerYou (answer: they will try to help as much as possible! ), educational and emotional support (answer: you are in VERY good hands in both regards. The entire staff will 100% help you in any way they can to make sure you're feeling good about the class content, and making sure you're emotionally okay), etc. Don't be afraid to ask questions, to voice your concerns, and to just share your excitement for this new journey you're about to take. This was a very intense program, starting off a little slower so the students can get their feet wet, get accustomed to their new surroundings, and have fun getting to know each other. The first two weeks focused on HTML and CSS. There were more class lectures throughout the day at first, in order to get everyone at the pace needed to really dive in once it got more intense. There will be lots of projects, and of course, project work time. The instructors are seriously AMAZING at helping you through your projects, so don’t be worried about having a lack of work time and/or guidance throughout. The pace and intensity will of course, begin to pick up as the bootcamp continues. There will be challenges, but it is simply a part of learning so much content in a short period. It in no way should deter you from being in the bootcamp - everyone in the class goes through down points at some point or another, and everyone is there to support each other the whole way through. In fact, this is a great example of why it is so important to ask questions, and seek support from fellow students. There will be content that you may find more challenging, and you may feel like you’re the only one who doesn’t get something, and that in turn makes you afraid to ask a question about it. I can guarantee you, someone else is having that exact same challenge. Talk to your instructors, and your fellow students, and you will feel so much better. I guarantee you - bring your passion. excitement, and an open mind, and you will succeed! The curriculum may change, depending on what’s going on in the tech industry. HackerYou is incredible at keeping up with the pace of what’s going on in the development field, and catering and altering their curriculum to that. For my cohort, React and Firebase were added to the curriculum. I believe for the cohort that followed my own, CSS Grid was added as well. It was awesome content, and the instructors know their stuff! Go here to find out what’s in the current curriculum at HackerYou: http://hackeryou.com/web-development-immersive. Here is the most amazing aspect of HackerYou. The instructors, the CEO, and every single person working on that team, were incredible. To say I was blown away by the HackerYou team and how amazing they were and continue to be, would be a vast understatement. The educational and emotional support you will receive from the HY team is truly something amazing. My cohort’s instructors were Simon, Ryan, and Sylvia. Not only were they total geniuses with the class content, but they were all so down-to-earth, caring, and so much fun to learn from. They had our class laughing like crazy, just as much as they were teaching us. For that reason, I highly doubt you will ever wake up and not want to go to class. The support does not stop there though - each and every member of the HY team is there for you, in every way they possibly can be. There will often be mornings when the whole team comes into the classroom, whether to give a talk on not giving up, how proud they are of you, or sometimes to play fun games to get our minds going in the morning. What you can take from this, is the moment you become a student at HackerYou, you can be sure that there will never be a shortage of support from the HackerYou team, and from the community. Of course, I couldn’t end this paragraph without talking about Heather Payne - the whole reason HackerYou exists! She is awesome and supportive, and really believes in the outcome of this bootcamp - and she won’t stop until every student is successful! I will be going more into exactly how amazing Heather is in the post-job hunting support section. The HackerYou community is truly something incredible. The alumni are this group of amazing, very supportive, very helpful people. They will be there to help current students the whole way through your journey. Alumni help out by being bootcamp buddies, mentoring in fishbowl sessions, being available on Slack to answer questions, and more. I was blown away by this strong knit community, and am truly so thankful to belong to such an amazing group of people - and you can too! The job hunting process is not necessarily a ‘fun’ process, and you will feel your ups and downs. However, stick to the instructions Heather will give you on how to succeed in this process, and good things will come, 100%. The support you will get post-bootcamp is one of a kind. Every Friday there will be a meeting where students will come meet with Heather, and discuss where you currently are in the job process. These meetings really help to get a sense of where you are at, where your fellow students are at, and really just continue to be there for each other for support. Heather will always have really great advice, and will make sure you are doing everything you can to be successful in finding a job. Heather will also be available by email, Slack, or by phone, on a regular basis to help you with any questions, concerns, or even just helping to format an awesome cover letter. I don’t believe there is a single other bootcamp that will have as much support in this process, as HackerYou has. The goal is typically to get a job within 3 months of graduating. I got my first job as a developer literally 3 months to the day I graduated! Listen to Heather’s advice, continue to be excited and passionate about this awesome new adventure you’re embarking on, and you will get that first job! I took the part-time web dev course this summer while working full-time during the day at my regular job. As an instructor, Sarah did an awesome job keeping the classes upbeat, fun and relevant, especially for a technical heavy course. The class took place from 6:30 pm- 9 pm during on Tuesday and Thursday but not once felt like a drag after a long day at work. Was also really impressed by eh effort and quality of the 30-minute long video project review that she made for each of our individual projects in a class of 35 students. The feedback was constructive, detailed and personalized. Very much appreciated! I really enjoyed my time as a student at HackerYou and wished that I could have been there longer! The instructors, mentors, and staff are all reallly great as they are not only knowledgeable, but really reach out to you to ensure that you get the best support and experience while at HackerYou. Great for people interesting in getting their feet wet in coding! I took the Intro/Advanced Web Development course this past summer just to get a feel of what basic coding was like. One of the best experiences of my life - the things that make this different from other crash coding schools and technical colleges are the mentors and the resources HackerYou gives. I'm hoping to take a few other part-time courses in the future and highly recommend this specific web dev course to people who are interested in coding! Welcome to our last monthly coding bootcamp news roundup of 2016! Each month, we look at all the happenings from the coding bootcamp world from new bootcamps to fundraising announcements, to interesting trends we’re talking about in the office. This December, we heard about a bootcamp scholarship from Uber, employers who are happily hiring bootcamp grads, investments from New York State and a Tokyo-based staffing firm, diversity in tech, and as usual, new coding schools, courses, and campuses! Welcome to the September 2016 Course Report monthly coding bootcamp news roundup! Each month, we look at all the happenings from the coding bootcamp world from new bootcamps to big fundraising announcements, to interesting trends. Of course, we cover our 2016 Outcomes and Demographics Report (we spent a ton of time on this one and hope everyone gets a chance to read it)! Other trends include growth of the industry, increasing diversity in tech through bootcamps, plus news about successful bootcamp alumni, and new schools and campuses. Read below or listen to our latest Coding Bootcamp News Roundup Podcast! Canadian bootcamps are working hard to develop the talent needed to keep up with Canada’s growing tech hubs. StartUp Genome ranks Toronto and Vancouver amongst the top 20 startup ecosystems in the world. The Canadian tech economy as a whole is being fueled by thriving companies such as Shopify, HootSuite, Kik, Wattpad, and Erkem. Their success has generated a lot of interest among investors. In 2016, $157 million was invested into 418 Canadian companies by angel investors, according to the National Angel Capital Organization 2016 Angel Investing Report. Ahmed Omran is a passionate educator, web developer, and graduate of HackerYou in Toronto. Here, Ahmed describes "Learning Velocity," a measure of bootcamp efficacy, and how bootcamps can help their students accelerate through the course. Whether you're a student looking for advice or a bootcamp administrator looking to improve your students’ learning velocity, Ahmed is always available for a chat. Feel free to reach out to him on Twitter. I was part of HackerYou’s first immersive development program as a student and later helped build the curriculum for subsequent cohorts. If there is one thing that I believe people should really focus on in bootcamps it's Learning Velocity. It's an informal measure of how much a person learns per unit of time. Keeping a high and consistent learning velocity is crucial. If a student gets stuck then the learning stops and in a bootcamp environment students can't afford to fall behind. The learning obstacle needs to be dealt with right away. The student should of course try to "figure it out" but if it’s been 20 minutes and there is no progress then it’s time to ask for help. Taking enough time to figure it out -- without efficient help -- results in stress, tension and demotivation. If the student is getting frustrated it's because they are not seeing the options that are available to them. They need someone to widen the lens by asking questions that lead to more options. A teacher/mentor/peer needs to use "growth responses" to point the student in the right direction. Answers get the student unstuck once but growth responses help the learner see how to navigate problems in a repeatable way. Not all bootcamp experiences are equal. If you're considering applying to a program then you need to do your research and find out if the bootcamp has the proper support system. Find out if the bootcamp uses timely growth responses to keep learning velocity high. Ask them if they are committed to your learning velocity and what concrete steps do they take to accomplish this commitment. Once you are immersed in the intense bootcamp experience make full use of the support system. Ask for help and advice as much as possible, ask questions about the material, and ask questions about your interests beyond the official curriculum. Don’t let pride, shyness or anything else get in the way of your learning. Your teachers, mentors and peers are there for a short period of time to help you so use the support system unabashedly. To give you an example, HackerYou has a 1-to-8 mentor to student ratio and they use an app that my team developed to manage student questions efficiently. When HY students are working on a project and they get stuck, they communicate to everyone that they're stuck and the support system (mentors, teachers, peers) kicks in to get them help within minutes. Bootcamps are a big departure from traditional education. Their immersive, intense instruction style has the potential to change our mainstream education system forever. But this is only if the proper structures are developed to ensure learning velocity stays high and no one falls behind or drops out who is genuinely trying. Want to learn more about HackerYou? Check out their School Page on Course Report or their website here! HackerYou's Web Development Immersive Program is registered under the Private Career Colleges Act of Ontario (2005). Any other information you'd like to share with Cody McCallum from HackerYou? By submitting, I acknowledge that my information will be shared with HackerYou. An email with these details has been sent to HackerYou. You've already applied to this scholarship with HackerYou.